The searches have be held, the size of damage is being determined. 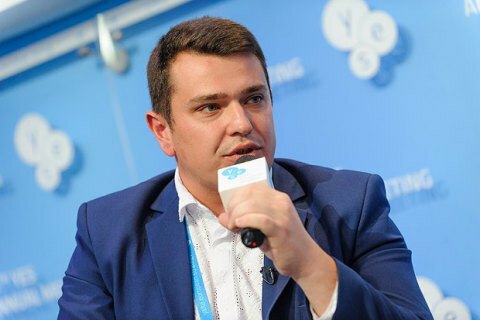 The National Anticorruption Bureau of Ukraine (NABU) has pledged to complete the investigation of the Privatbank case as qquickly as possible, NABU chief Artem Sytnyk said Thursday. "We have held a dozen searches and are establishing those involved in the embezzlement. In parallel, we will carry out an economic investigation to meet the CPC expert requirements to establish the size of damages. Given the importance and urgency, because the shareholders of Privatbank had to fulfill obligations by July - and failed to do that, we understand that this case should be investigated ASAP," Sytnyk said. The NABU is investigating the possible abuse of office by officials of the National Bank of Ukraine, and the gross embezzlement of Privatbank's assets by the management and owners of the bank. Ukraine had to pump over 100bn hryvnyas to bail Privatbank out. On 21 December 2016, Privatbank was nationalized.